They call it ‘The Venice of the North’ due to it’s canals, beauty, and perhaps it’s popularity with tourists too! All with good reason though. 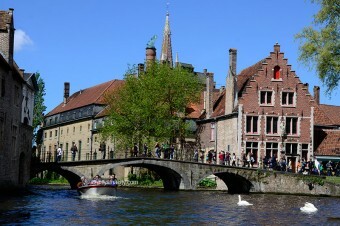 Bruges is a gorgeous and compact medieval town, so compact that most travellers will be able to cover all of the main sights in a single day. For those with more time, there are still many museums and Belgian chocolate shops left to explore. Ever wondered how long you need to spend in a particular city or place? You can spend hours crawling the web trying to find a well informed answer. This site aims to answer the question of how long most travelers would need to spend in a particular city or place in a minimum number of days. The idea is to promote discussion on the topic, to help you and other travelers plan for their next adventure.